At Clacton Bathroom Centre, we can design a stunning and practical bathroom which all the family can use, as well as a place where you can relax after a long day and enjoy some peace and quiet. We have a wide range of showers and baths available, including easily accessible enclosures, shower-baths, corner baths and walk-in baths, from leading manufacturers, many of which are on display in our large showroom. In addition, we also sell every possible sanitary ware, furniture and bathroom accessories such as taps, towel warmers and bath screens in many styles and sizes, to achieve the bathroom of your dreams. The addition of a shower enclosure brings a touch of luxury to your bathroom, giving you the ultimate showering experience as well as adding value to your home. At Clacton Bathroom Centre our shower enclosures are available in a range of styles and sizes, providing easy access to those who may require wheelchairs, or large shower seats for that extra comfort. We stock shower enclosures from many top brands including Manhattan, Roman and April, renowned for their superb quality. To complete the picture we offer a choice of shower door styles, including sliding, bi-fold or pivot, as well as a selection of shower trays and accessories. The centrepiece of any bathroom, Clacton Bathroom Centre have a variety of classic and contemporary baths in beautiful yet practical designs, with sizes ranging from 120cm to a massive 190cm long, and 70-90cm wide! From free standing and corner baths to whirlpool and spa baths, all our baths are of the highest quality and created to suit all budgets. We offer a range of finishes including reinforced acrylic and steel baths for that extra strength guarantee. Come and visit our showroom to view all our baths and take a look at our full range of bath panels on display. Whether you prefer acrylic or wooden, we sell a wide variety of front and end panels in a choice of sizes, colours and finishes. At Clacton Bathroom Centre we have a range of easy access panels and baths to aid those who need that extra support in their bathroom. Including baths with doors and side entry baths, our walk in baths come in many sizes and styles, with the option of easy to use powered seats, guaranteed to suit a variety of bathing needs. Designed with your safety and comfort in mind, we offer lower step doors to make getting in and out of the bath as easy and safe as possible. Simple designs for the buttons, doors and handles ensure they can be used by people of all ages and by those with declining mobility and we can also provide thermostatically controlled bath taps to prevent scolding. Whether you're looking for traditional or modern designs, here at Clacton Bathroom Centre we sell a large selection of stylish furniture and sanitary-ware from top brands such as Mereway and Roper Rhodes, giving the prefect finish to any bathroom. From vanity units to toilet surrounds, fitted furniture hides all that unsightly pipe work as well as maximising storage smaller rooms. 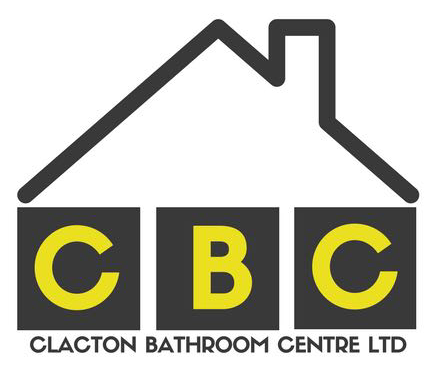 Clacton Bathroom Centre stock a range of basins and toilets designed to suit any bathroom from small cloakrooms to full sized bathrooms. We know that a comfortable and reliable toilet is an essential for any home and therefore provide not only soft closing toilet seats but we also sell a range of comfort height toilets, to aid those who struggle to stand from the average lower height toilet. Clacton Bathroom Centre pride ourselves on only selling showers from industry leaders such as Triton, Aqualisa and Mira. From the classic wall mounted shower to contemporary digital systems or luxurious rain heads, we sell a wide range of showers with many of these on display in our large showroom - all at the most affordable prices. Whether you require a power shower, thermostatic mixer or electric shower, these brands are all recognised for their innovative designs, excellent quality and reliability as well as being exceptional value for money. All three companies offer excellent guarantees on their showers - for more information on any of these products give us a call today on 01255 436604 or come and visit our showroom. Accessories are vital in your bathroom, for both practical needs and to complete the look. We have hundreds of unique and beautiful taps available for basins and baths, in a variety of styles and finishes. From a single monoblanc tap to modern mixer taps, we are sure to have the perfect taps to match any décor. We also stock towel warmers in both chrome or coloured finishes, as well as a variety of bath screens. We sell a vast range of ceiling lights and illuminated cabinets and mirrors, fitted with beautiful LED lights. They can include features such as sensor switches, steam free glass or integrated shaving sockets. Your bathroom would not be complete without the smaller accessories such as corner baskets, toilet roll holders and robe hooks, and at Clacton Bathroom Centre we sell them all!